Welcome to MOLLY MAID of Central Lake and NW Geauga Counties! 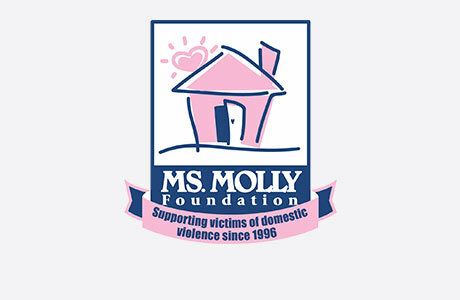 Molly Maid has been serving Cleveland's east side suburbs for over 10 years and have become known for our quality home cleaning. We represent a clean you can trust. Our insured maids are reliable with skills to guarantee your satisfaction. Our Mentor house cleaning services are designed to meet your needs. From bathroom sinks to kitchen countertops, our maids are happy to clean those hard to clean areas of the home. In addition to regularly scheduled home cleans, we also provide one-time cleans. Whether you are looking for a spring cleaning or a hosting a special event at your home, we can provide you with exceptional service. We’re honored to serve Cleveland's east side suburbs. We service Mentor, Chardon, Solon, Chagrin Falls, Cleveland, Pepper Pike, Macedonia, Twinsburg, Broadview Heights, Aurora, Bainbridge, Gates Mills, Shaker Heights, Cleveland Heights, Beachwood, Lyndhurst, Streestboro, Hudson, Mayfield, Mayfield Heights, Willoughby, Willoughby Hills, Kirtland, Kirtland Hills, South Euclid, Sagamore Hills, University Heights, Painesville, Concord, Chesterland, Newbury, South Russell, Moreland Hills, Orange, Highland Heights and Richmond Heights. Molly Maid of Central Lake and NW Geauga Counties gives back to the community by supporting Kids of Cleveland Basketball Club. A thorough dusting of baseboards, light fixtures, furniture, sills, shelves, blinds, décor and more. Vacuum or mop all floors, carpets, rugs, stairs and furniture. Clean and sanitize showers, tubs, toilets and sinks…inside and out. Clean and dry all mirrors, glass, counters, tile and appliances until they shine. Molly Maid can tailor each clean to your needs. For specific pricing we perform a complimentary in-home estimate to provide the lowest cost for your needs. Call MOLLY MAID of Central Lake and NW Geauga Counties today at (440) 379-1067 to schedule your free in-home estimate!